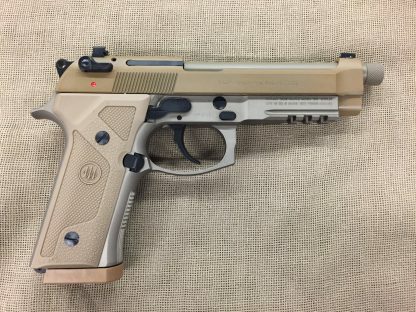 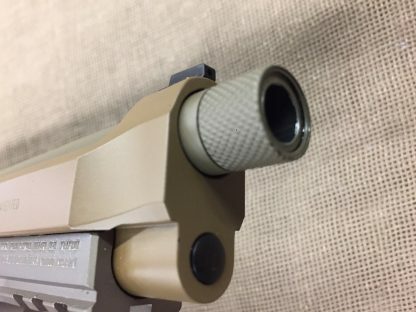 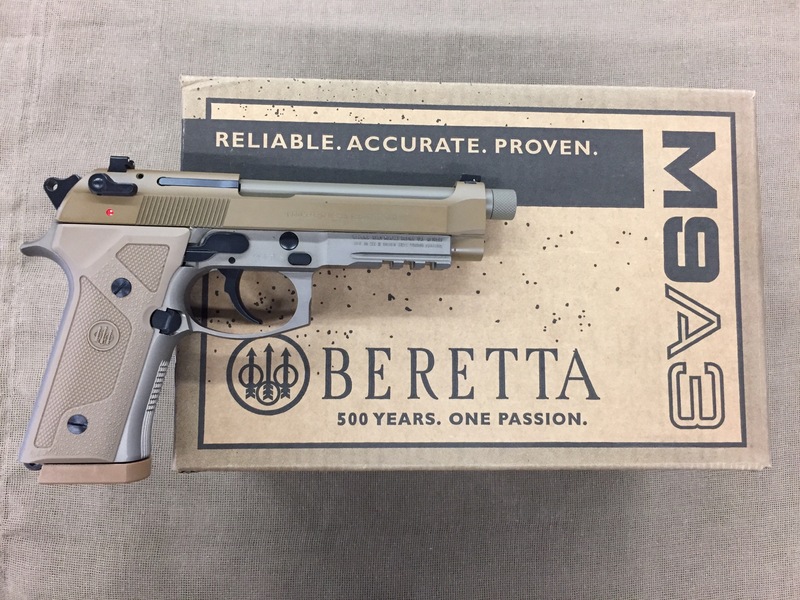 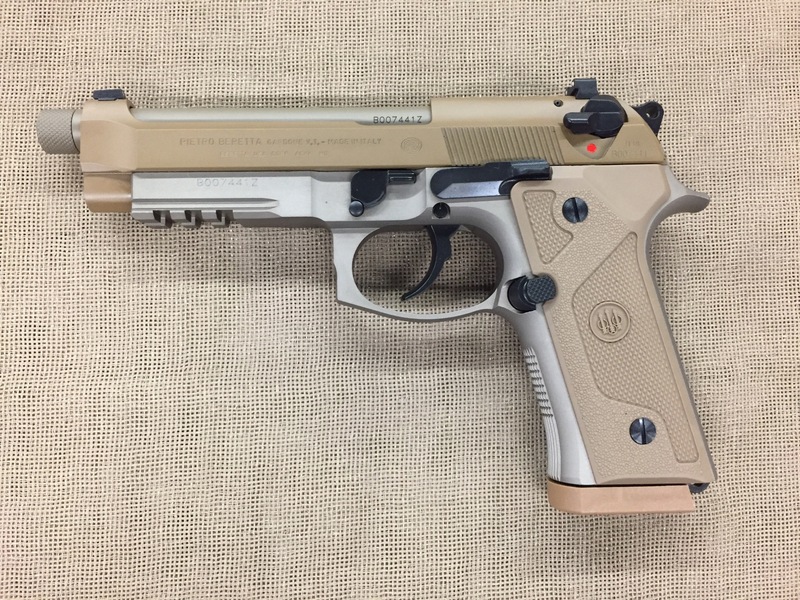 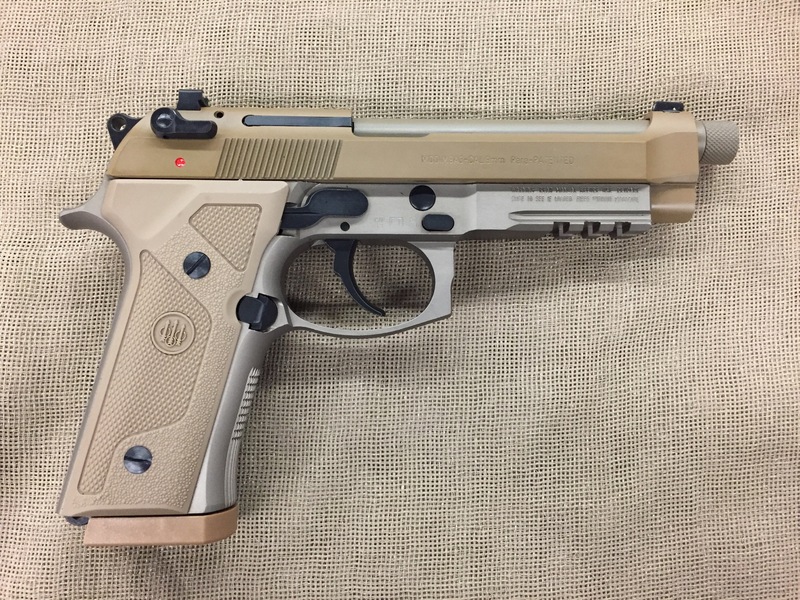 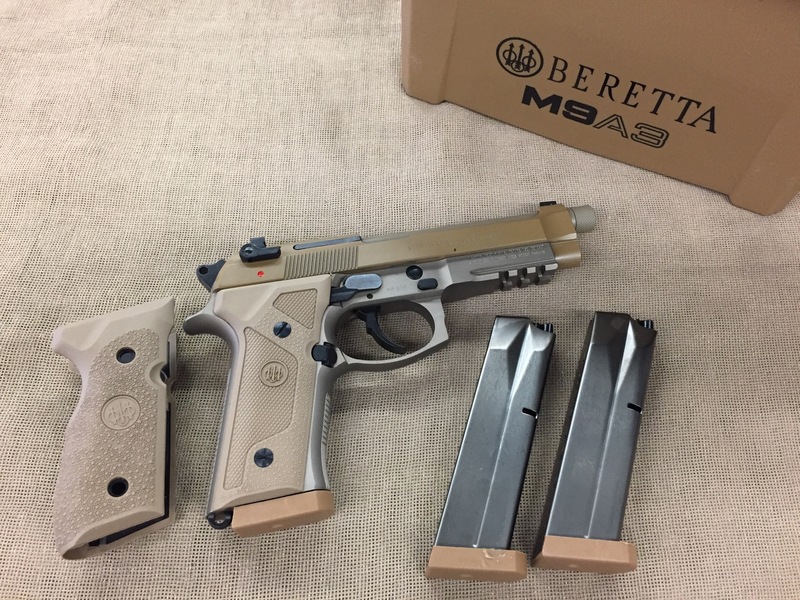 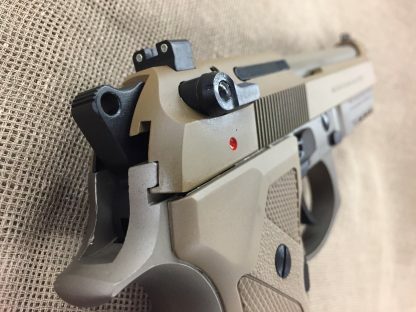 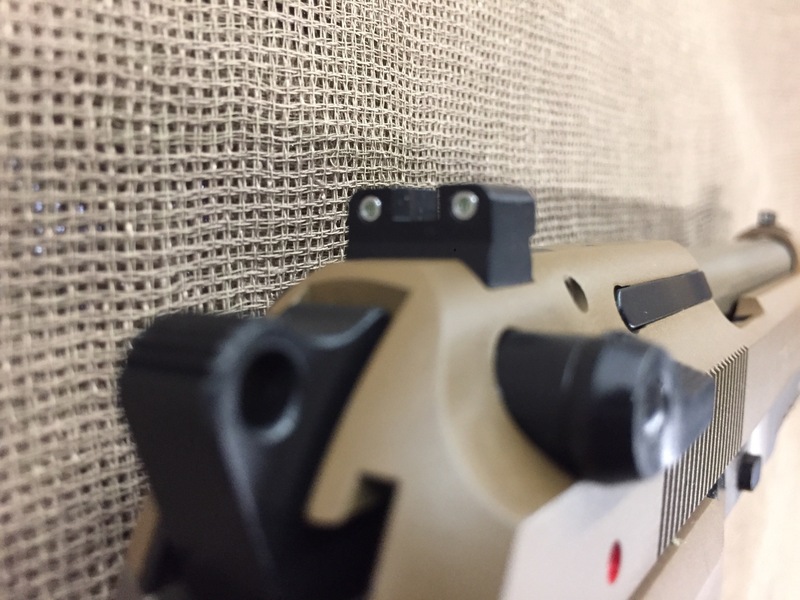 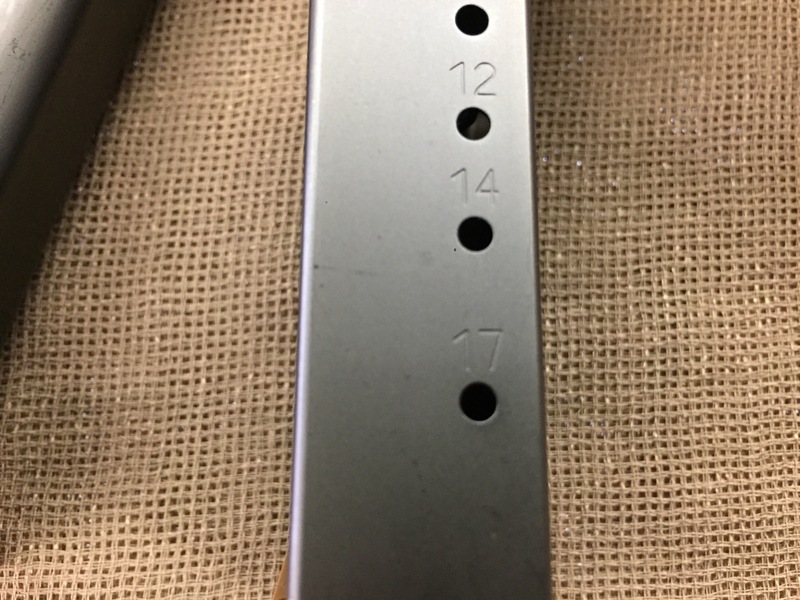 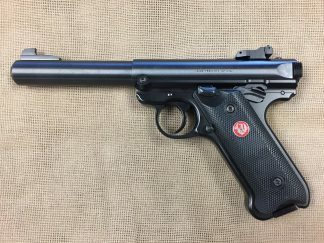 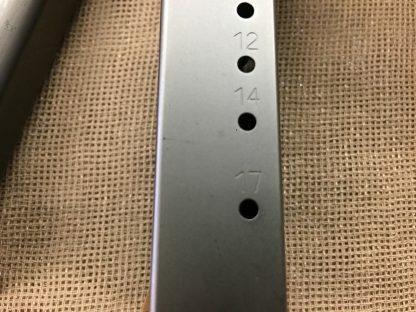 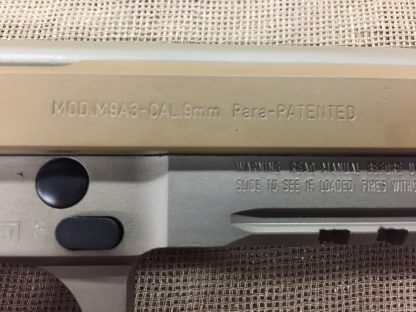 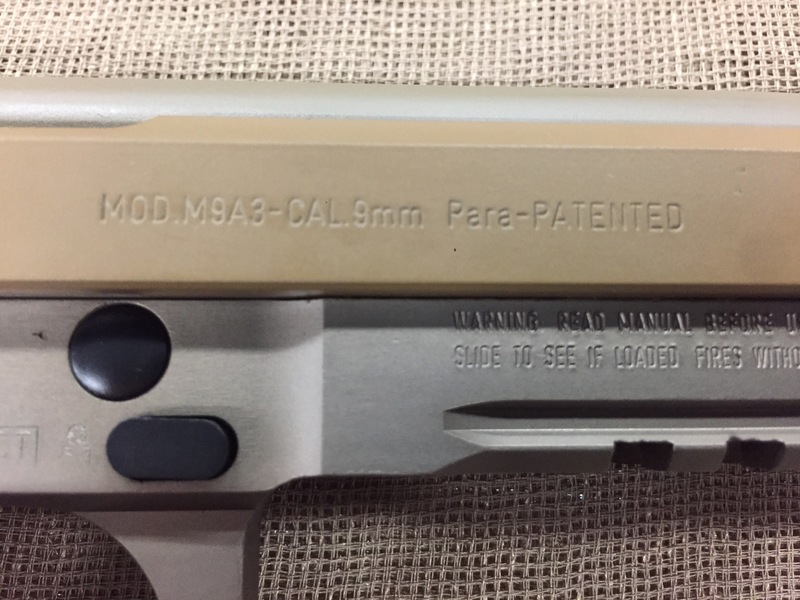 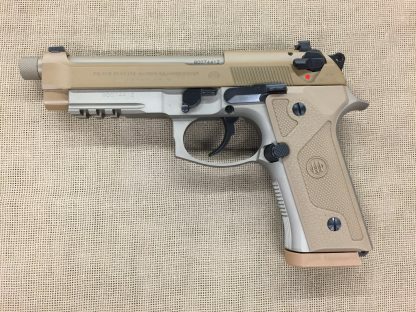 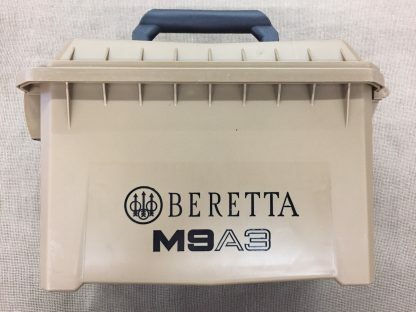 New Beretta Model M9A3 9mm auto. 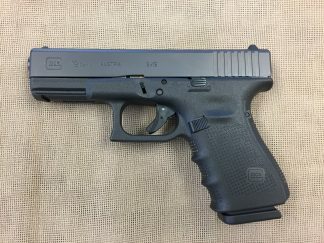 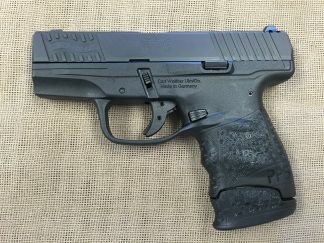 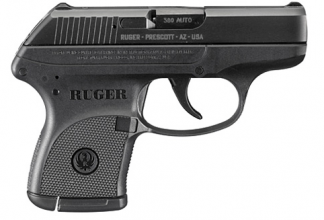 17+1 capacity, three magazines, 5″ threaded barrel, open top slide with tritium three dot night sights and decocking safety lever, alloy frame with thinned straight grip with checkered front strap, accessory rail, two sets of grips and double action fire control. 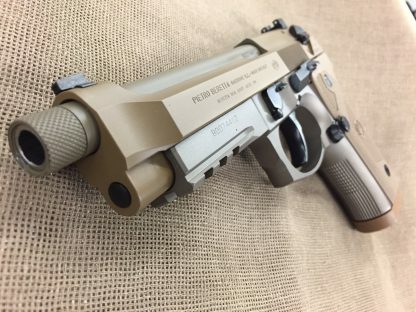 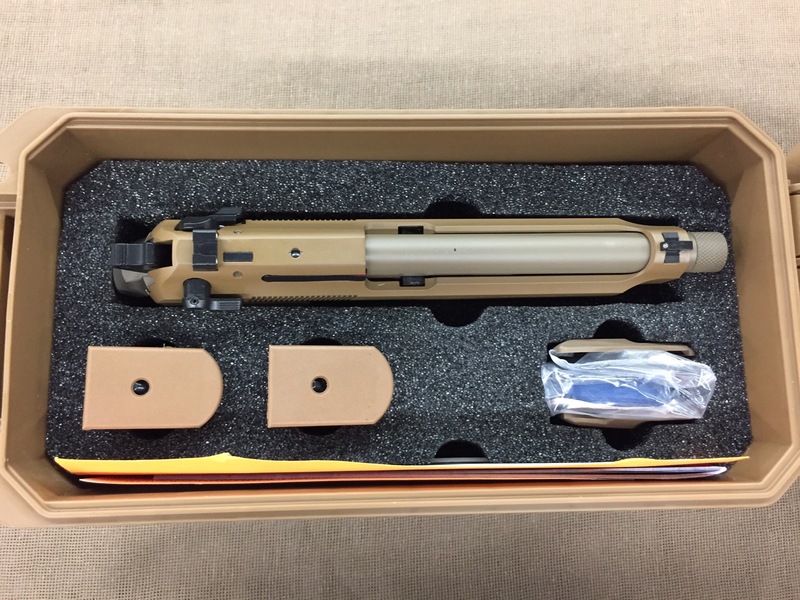 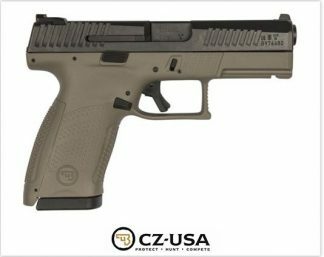 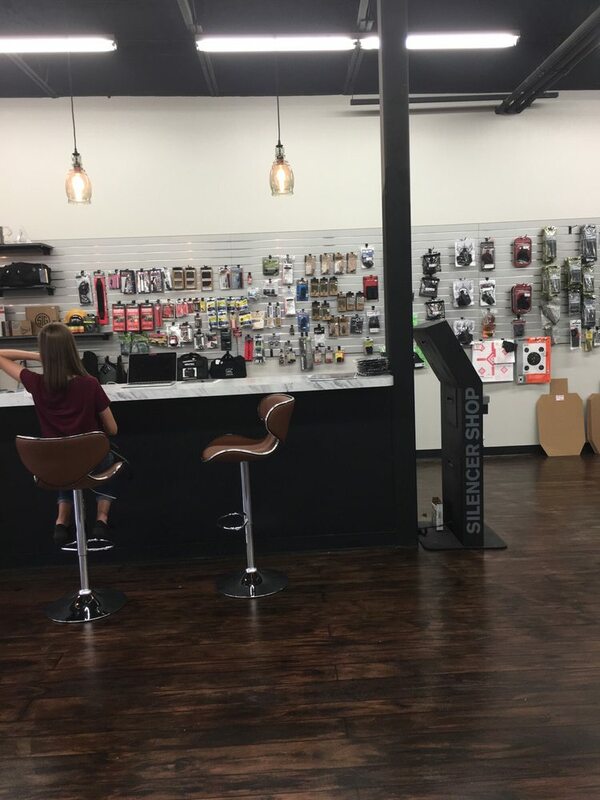 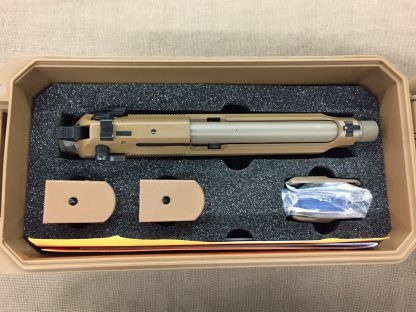 Overall flat dark earth Cerakote finish with black controls, hard case, 33.4oz.